When it comes to picking winners, what can we say? You came to the right place. It’s a hard and dangerous business passing judgment on all these new motorcycles. Not so much physically dangerous (though there is that), but more like dangerous we’ll get it wrong. One of my favorite parts of being a MOron is going out with the other kids to do comparison tests over the span of a few days, when we have the chance to stop and smell the lattes, comparing notes and impressions on each bike every time we stop, and reach a consensus. Most of the time. But now that the news cycle is shortened thanks to the interwebs, when I go off to do a “First Ride” like I just did for the all-new Suzuki GSX-S1000, and need to pass judgment in print (online) the next day, it’s all on me to get it right. The longer I hang around, the more I realize how crazily important motorcycles are to some people – not least the people who build them. It’s important to get it right for plenty of reasons. Suzuki’s Aki Goto (in the black Kushitani jacket) has been with the company since 1973, invented the four-wheel ATV, and tuned for Barry Sheene. There’s very little I can tell him about motorcycles. When I gave the new GSX-S two thumbs up and an 86.25 on the ScoreCard (pretty good for a $9,999 open-class naked), it was deeply satisfying to know I’d got it right when certain readers I can trust to be 180 degrees wrong wasted no time commenting on what a dismal POS failure the new Suzuki is. There’s always going to be a certain amount of subjectivity. The least hint of jerky throttle drives some of us nuts, Evans Brasfield. Some guys can’t abide the tiniest bit of handlebar vibration. Other times, we all find ourselves in total agreement. What’s amazing really, is that when a motorcycle gets it right, both 6’2”/250-pound Sean Alexander and little old me can agree that the Aprilia RSV4 was the most comfy bike in our recent six-way Superbike slugfest. How does that even work? Sometimes you look at what the loyal opposition has to say, though, and you wonder if we all rode the same motorcycle? 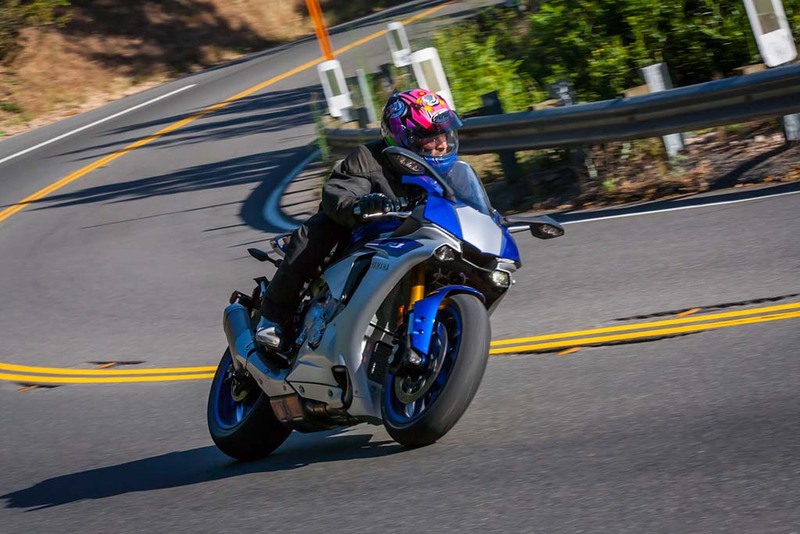 In fact we did not in the case of the new Yamaha R1, since all the publications who named the Yamaha “Superbike of the Year!” rode the “M” version ($21,990), while MO tested the vanilla R1. All I can surmise is that the electronic suspension on the M must be truly magical, because our R1 finished last in the Suspension category on both Street and Track portions of our recent shootout. It also only beat the Dante’s Inferno Replica Ducati Panigale in the Ergonomics/Comfort category, a bike which would be much more comfortable than the R1 if only it didn’t use its rider’s circulatory system as a radiator for its rear cylinder. I’ve always been kind of a Yamaha guy and I loved the original ’98 R1 along with most of the ensuing ones, but this latest one is what we used to refer to as “a rack”, and not the good kind. In fact, it’s just about the cruellest production motorcycle I’ve ever ridden. I mean, Yamaha does say the new bike is all about racing performance (which is what they always say), but this time they really meant it – not that I’ve ever ridden a race bike this uncomfortable: A Honda RS125 is preferable once you’re folded up on it. I can see how the R1 could inspire you to go faster than ever, so as to climb back off it as soon as possible. One nice thing is you can ride under most trucks when your exit comes up sooner than expected. 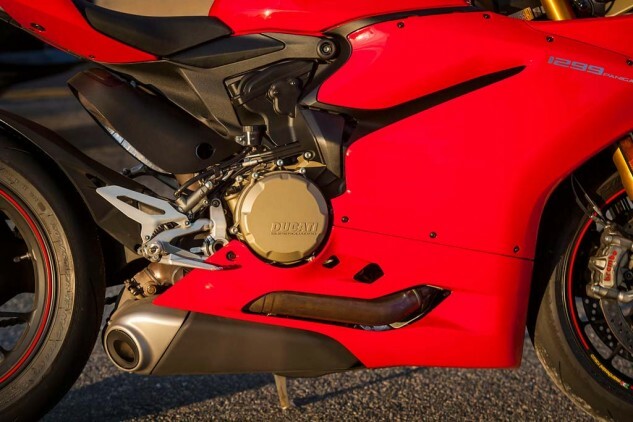 One big magazine that named the R1M numero uno among this year’s open-class sportbikes uses ergonomic triangle diagrams that let you compare the bikes: According to them, the R1 folds your spine fully eight degrees more than the BMW S1000RR and 7.2 degrees more than the Aprilia. Ouch. Looking at it reminds of me of Steve Martin’s “The Cruel Shoes,” and I’m usually with the crowd who lambasted Troy the other day when he mounted the soapbox to complain about all sportbikes being uncomfortable. I generally like the ones with great suspension because they work out the kinks in my back without jarring the vertebrae loose. I hope the “M” is better than the plain R1 we tested, which could be used instead of waterboarding. Listen Hillary, are you going to come clean or is it gonna be another ride down Santa Rosa Creek Road? On the bright side, this is just the excuse we need to borrow an R1M and return to the scene of the crime for a rematch against the winner of our Shootout, the BMW S1000RR. In the Laguna Seca Raceway portion of our deal, our ringer Doug Chandler liked the BMW much better than the Yamaha around the track. 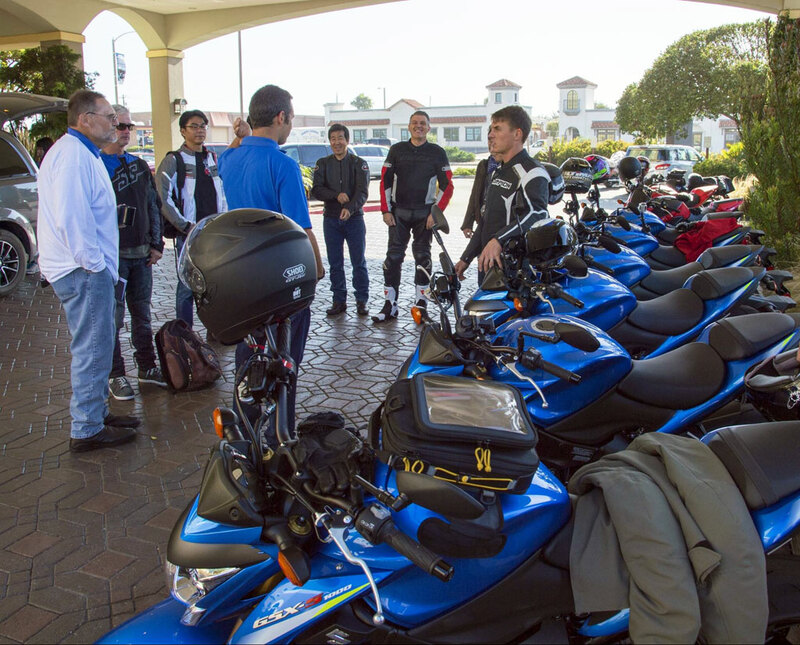 The Beemer was also a good enough streetbike for me to ride back and forth to Monterey, thanks to its electronic cruise control and heated grips. The 20 more horsepower is a nice bonus too, and all of it in a package 10% cheaper than the R1M. 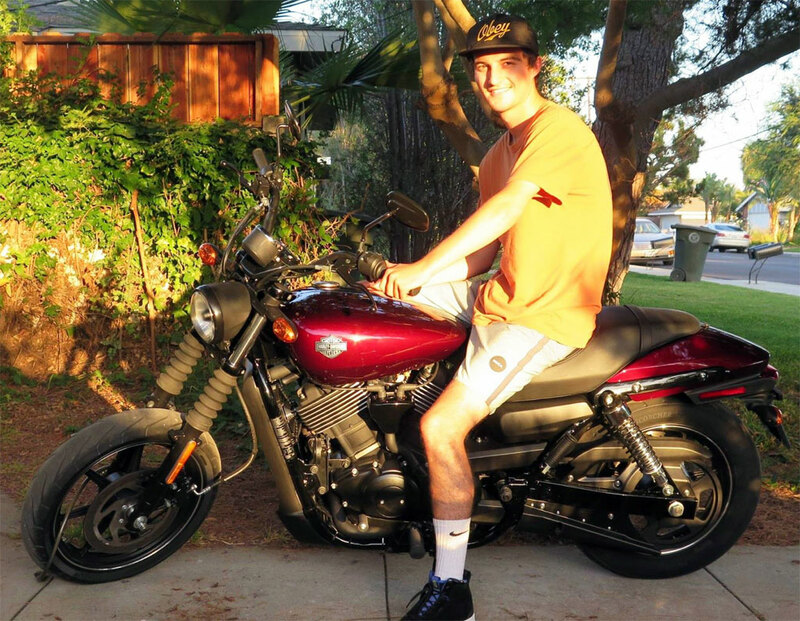 In the end, variety is the spice of life, and what fun would it be if everybody rode a motorcycle you approved of? You’d never get the chance to make a new friend by strolling over to tell the owner what a dismal failure his motorcycle is. It’s a big part of the fun.